WE are Eager to help you pick out 'Some Bunny to Love'. These German and Giant Angora Rabbits Are WAY ADORABLE! We Have the Finest in German Angora Available. All Love Your Buns' German Angora are 100% German from the newest import lines, Pedigreed, whith Excellent Temperments and the Finest in Wool Yield/Production. especialy our family and farm. see below fmi. 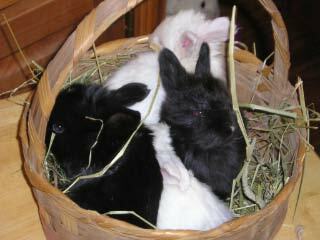 We are Proud to Anounce that we have been Blessed with Another Gorgeous Litter of Angora ! Their kits are so Beautiful !!! 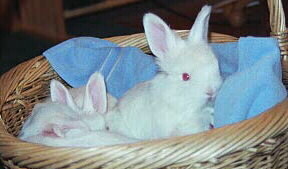 to produce The Finest Giant Angora Bunnies in White or Black. All of our Rabbits come with Pedigree How to groom and care for lesson, And Lifetime Follow Up Q & A Included with Purchase for Our new Rabbit 'Parents'. 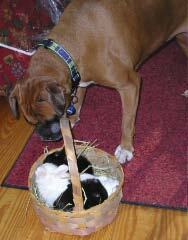 WE are Eager to Help You Pick Out 'Some Bunny to Love'; Our Bunnies are for Sale to Good Homes Only. If You Are Seeking Purchase Information from Us then Please include your name, city, state And Tell us Why you want a Angora, As well as a bit about your Pet Experience and Home Environment. Please E-Mail for Appointment &/or Current Availability. . REGISTERED SHETLAND SHEEP AND TOP QUALITY FIBER ARTS SUPPLIES, EQUIPMENT AND ORGANIC FIBERS AND HANDSPUN YARNS. LOCATED IN SOUTHERN VT & ONLINE. Love Your Buns Rabbitry is In Jacksonville VT Appointment is a MUST, We do not Ship or deliver Rabbits, Only cages and equipment. Happy Tails!